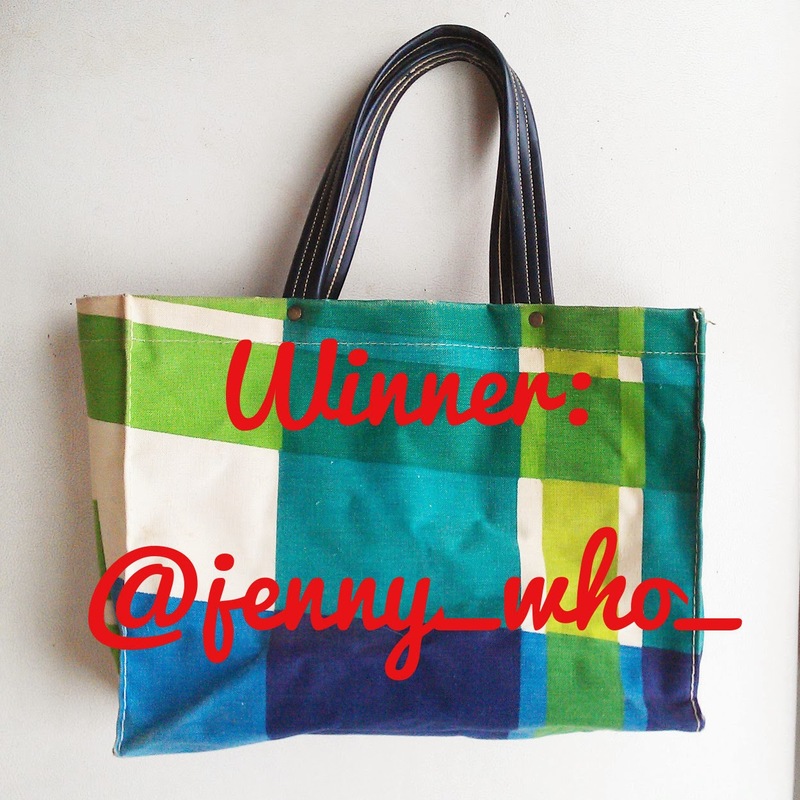 The winner of this week's giveaway was @jenny_who_, who started following me on Instagram. Thanks to all who entered! Check back in tomorrow for this week's giveaway. So I had an AMAZING day at the thrift store yesterday, both vintage-wise and also just buying stuff for myself, which I honestly don't do all that often anymore. Here's some highlights from the dressing room. 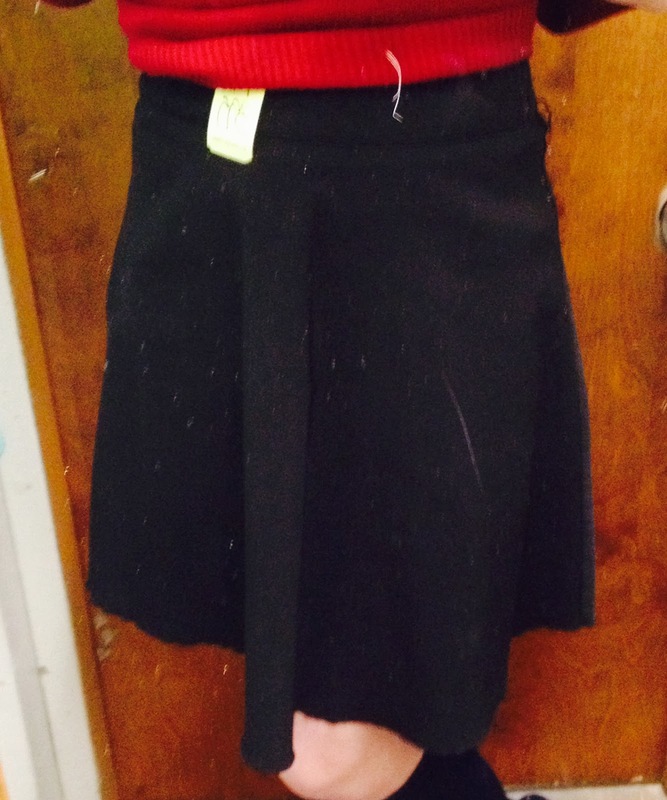 This picture is awful, but I have been on the hunt for a skater skirt that isn't obscenely short for a while now. 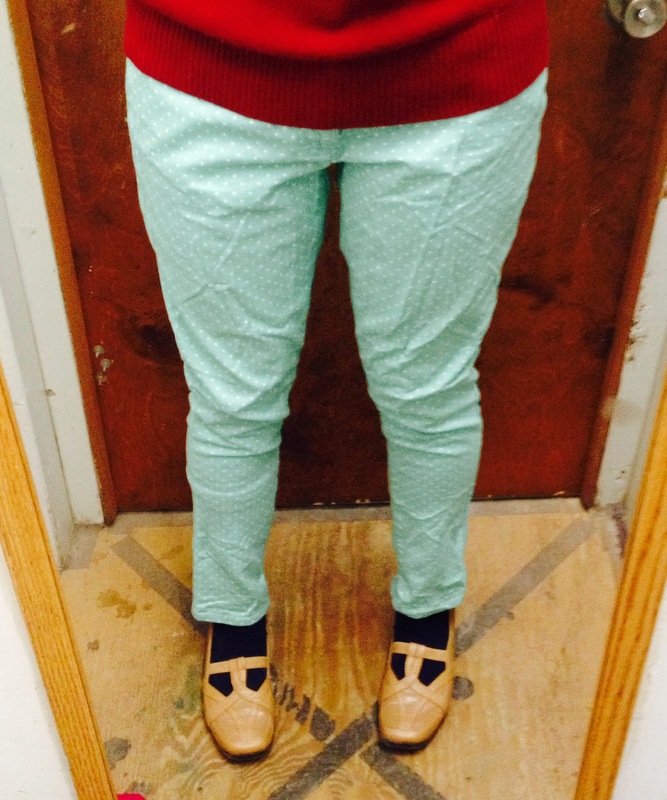 This one is a really good fit and length, and at $2.99 it was a steal. 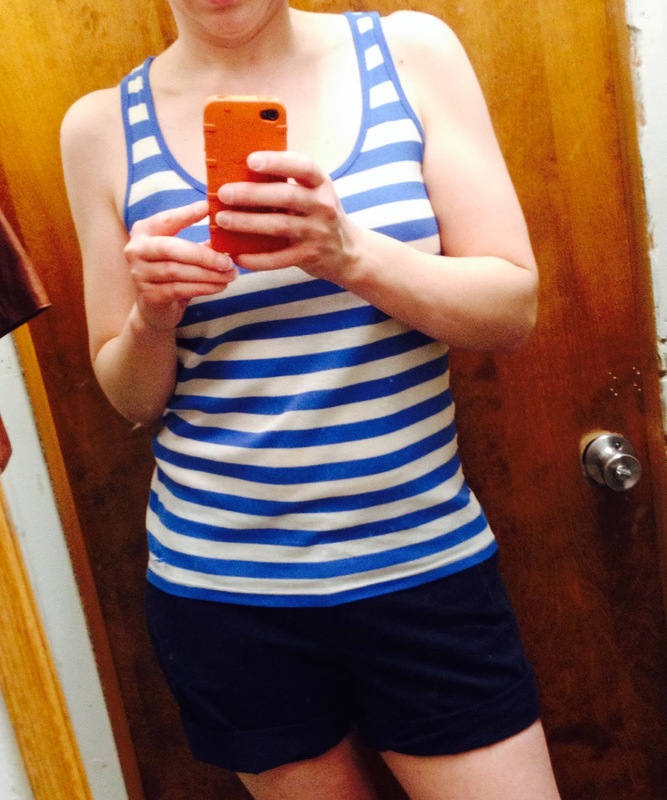 Again, not the greatest photo, but these are a pair of navy blue Old Navy shorts. I am super picky about shorts length (too short and it's just ridiculous; too long and I feel like I look all stumpy), so these ones were juuust right and I had to buy them immediately. Again, at $2.99 for something I will wear all summer, I figured I can't go wrong. I was not at all sure about this cranberry sweater when I picked it out, but my friend Jess urged me to try it on and then convinced me that it was really cute. 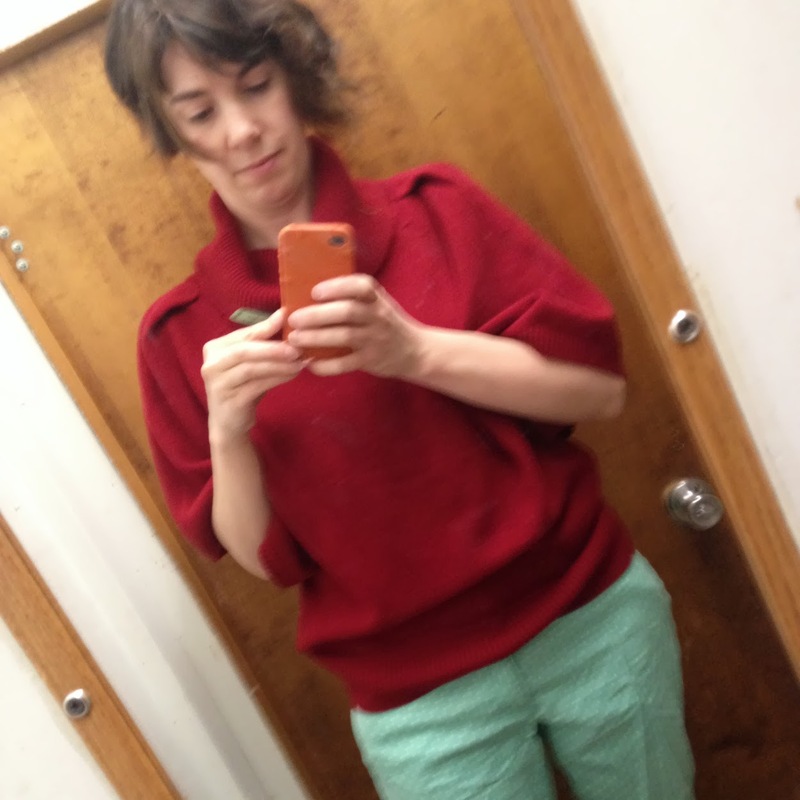 It's got enormous dolman sleeves, almost more like a cape, and it's super comfy. And if you're thinking I won't get much use out of it in the spring, you're wrong. I live in upstate New York, so spring is kind of a fantasy, and my office is always freezing. So cozy is a year-round sort of thing. 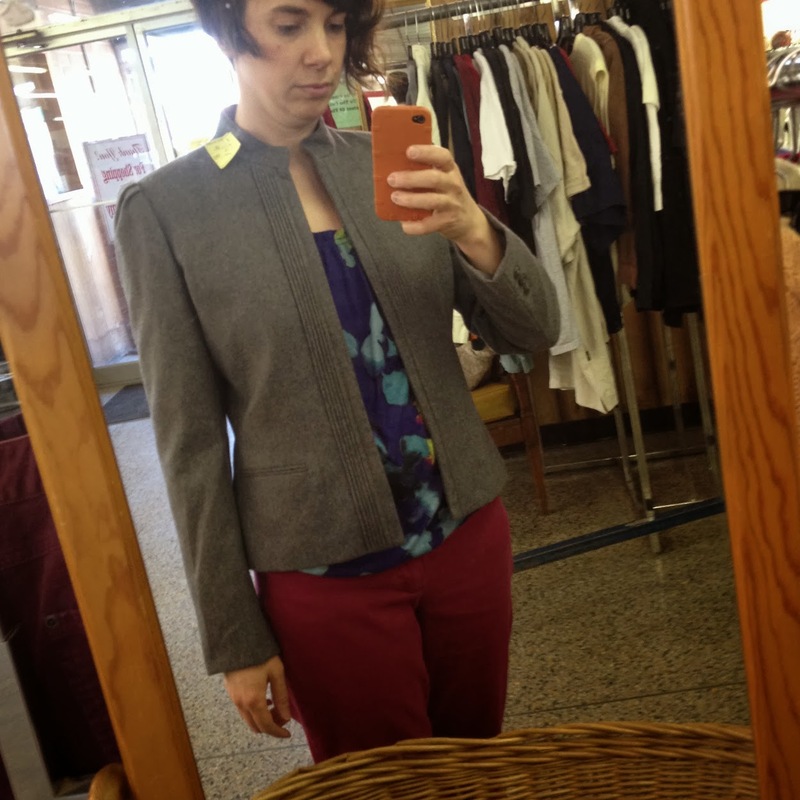 I picked up this vintage Sasson blazer with the intention of selling it in my shop, but I tried it on and ... wow. I am so in love with this jacket. It fits like a DREAM and I could see myself wearing it with just about anything. But since I love money, I'll probably list it anyway. 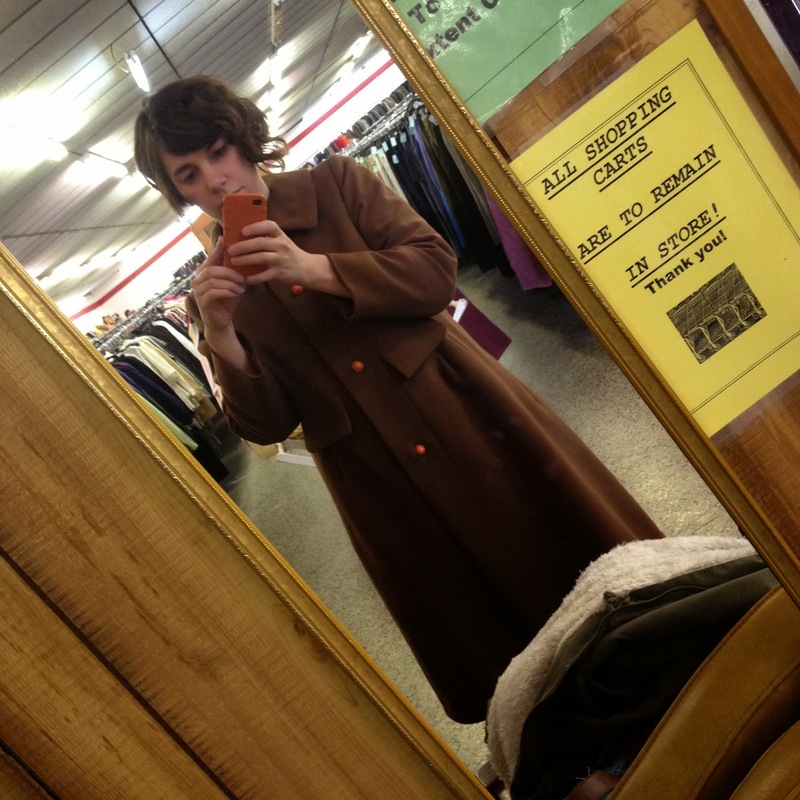 This coat was one of the premium finds of the day. It was priced a little higher than I like to spend for resale, so I was encouraging my friend to buy it, but it was a bit big for her. It fits me perfectly, however, and it's GORGEOUS. I am squirreling it away for several months before listing it so it doesn't get overlooked by shoppers with spring fever. But if you're interested, email me and I'll send you pics and details. It truly is an exquisite piece. 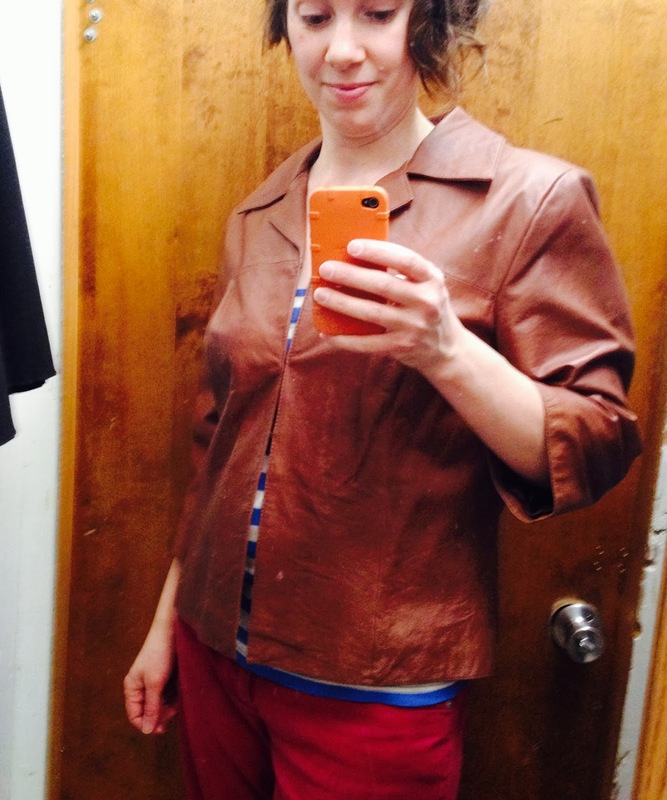 This little leather blazer was my other top find. It fits me great and just hangs really nicely. I love 3/4 sleeves, and I also really love the faux open front (it has invisible hook-and-eye closures). Plus it was $3. I thought it was vintage when I picked it up, but I'm pretty sure it's contemporary. Which is fine with me, because I'm keeping it either way. 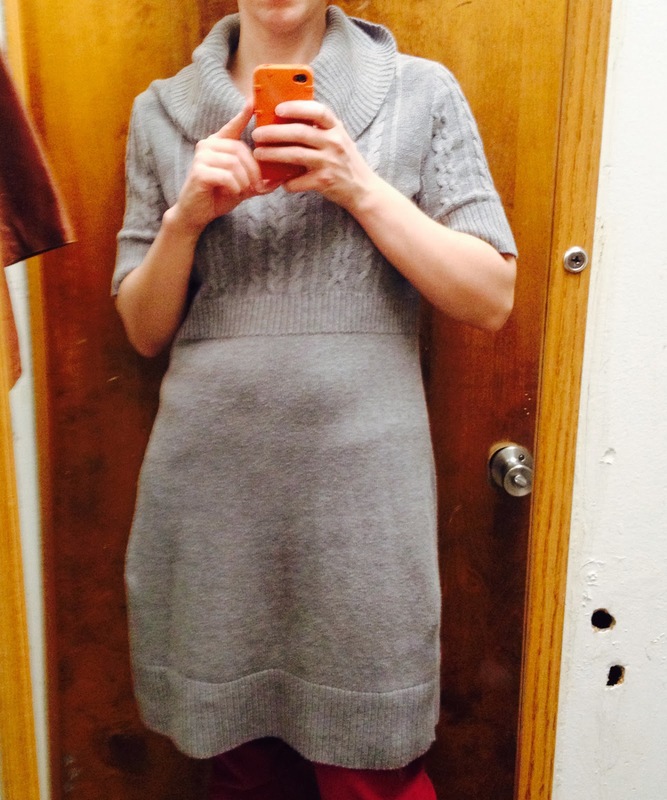 There was really nothing wrong with this gray sweater dress, but it failed the "do I love this/do I need this" test. It just wasn't special enough for me to justify spending the money. 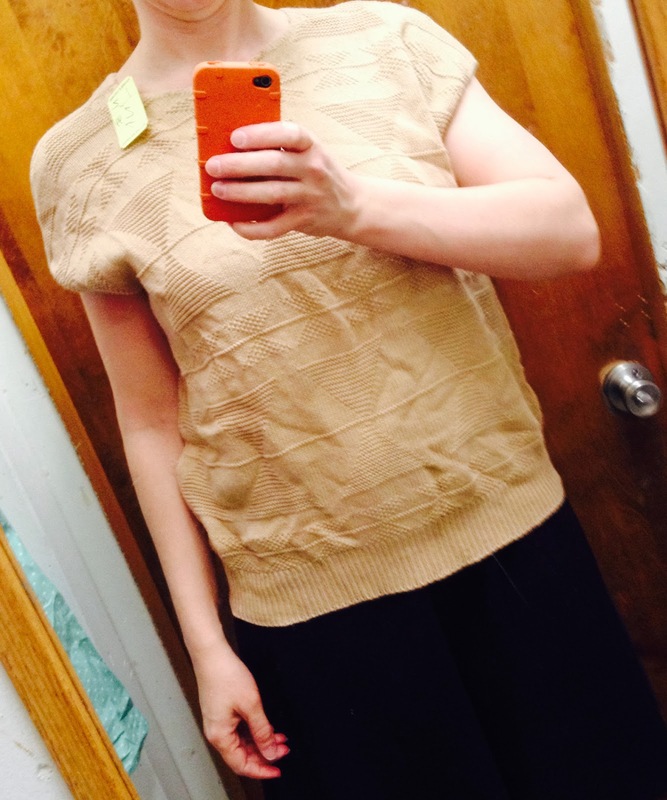 This tan sweater is a perfect example of things I see on the hanger and think, "I could pull that off!" But then when I try it on, I think "... nope." 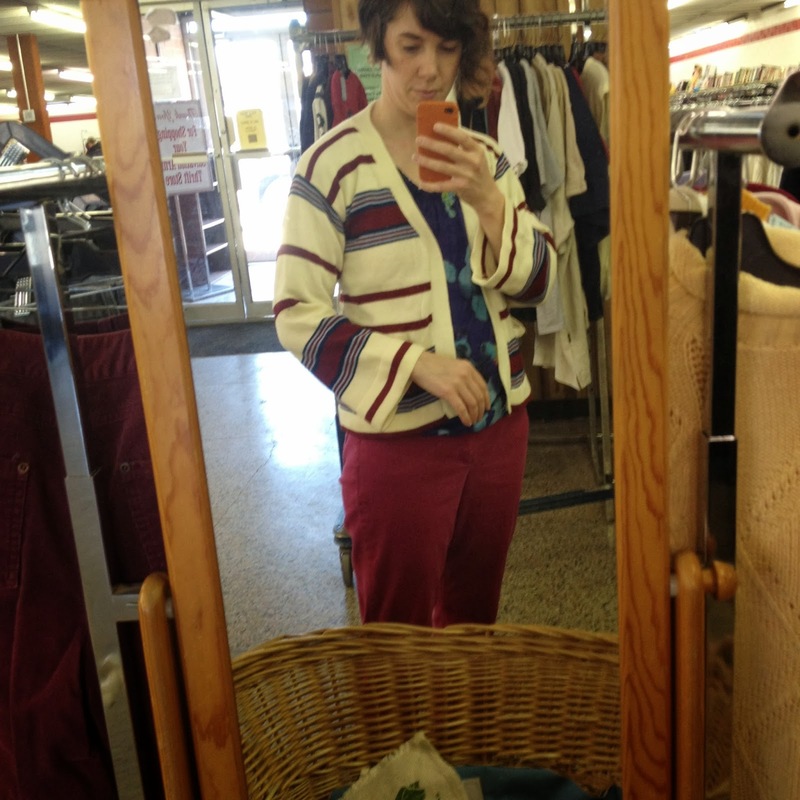 This vintage striped cardigan wasn't fatally flawed in any way, but it wasn't all that great, either. And at $3.99 I just didn't feel like buying it. Sometimes you just don't have the right feeling about something, you know? Anyway, I had tons of fun shopping with my friend from work, who was even sweet enough to bring me some SweetFrog afterward when I had to rush back to work. Now I just have to get cracking on listing all the great vintage I bought yesterday — some of it is already up, so be sure to check out the shop today. Have a great weekend!